Where? 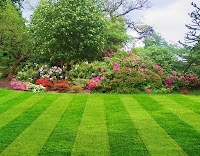 Before you select your grass, however, it is important to decide were you will put it. Practical consideration of how to efficiently water the lawn and care for it is part of the determination as to whether or not your turf will survive. It is not a particularly sound practice to seed or lay sod in long, narrow strips of landscape. You should also select grasses that fit with your climate. 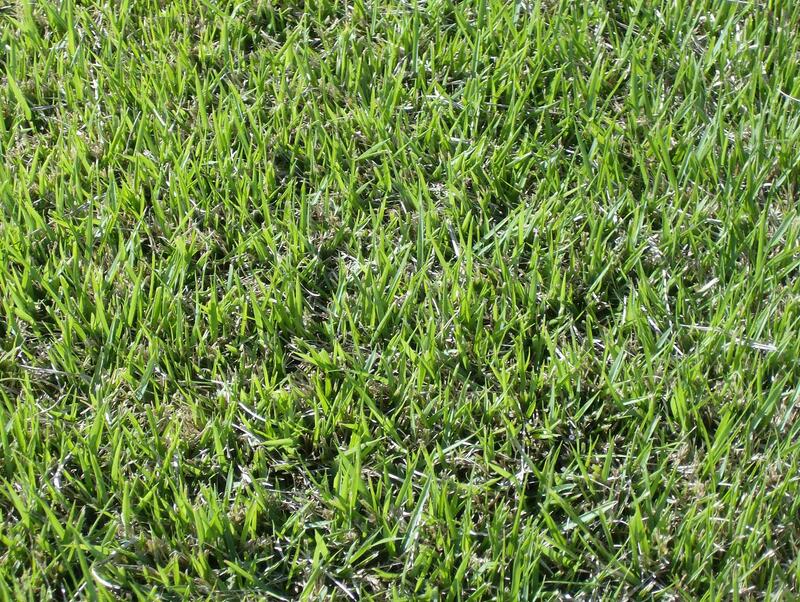 If you live in a hot climate, Bermuda grass and St. Augustine grass may be a good choice. Many people like Kentucky blue grass, but fail to realize that this type of grass does not do especially well in times of drought. 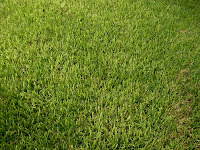 What types of lawn grass are there to choose from? 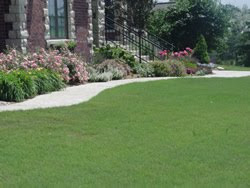 In the southern U.S. “warm-season” grasses are generally grown. These types of lawn grasses grow actively from mid-April to mid-October. As their name implies, they like the warm weather. 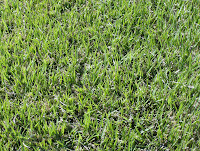 Bermuda grass is an example of a warm-season type of grass. In the central and northern U.S. you are more likely to see people growing “cool-season” grasses. These types of grasses often grow the most in the moderately cool temperatures of late spring and early fall — the heat of summer slows them down. Kentucky bluegrass is an example of a cool-season type of grass. Don’t forget that, in addition to lawn grasses, there are also “ornamental” grasses. 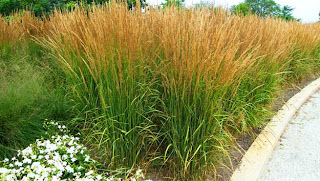 Ornamental grasses can also be classified according to whether they are warm-season or cool-season grasses. For some residents in a neighborhood in Carlsbad California, the streets are very well kept and the lawns are nice, green and beautiful. However, all this prettiness changed when one resident decided that enough is enough. He ripped his yard up and installed artificial grass. Though there are those who think that having a synthetic artificial lawn grass is pathetic, there are those who think otherwise. Believe it or not, this coming summer will be witness to a lot more people from the suburban areas that are to install yards upon yards of artificial grass. This is lawn faux grass that is somehow very lifelike and real that people could be fooled to think they are what they appear to be, and pets actually think it is real. The fact of the matter is that spending on artificial grass is supposed to rise by a quarter this coming year at businesses as well as homes. This basically translates to a revenue of two hundred and fifty million more. 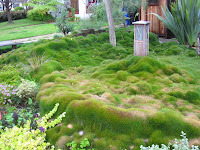 Compare this to a real lawn grass that need to be maintained, trimmed, sprinkled, etc. and an artificial grass that solely needs to be blow dried. Though this prospect is tempting for some, it is unthinkable for a lot of other people. There are still those suburban residents that find artificial grass tacky and surreal. Some residents still find a reason to complain on artificial grass. For them, artificial grass looks just too lushly fake in the cold, cold dead winter. This has even prompted some neighborhoods to ban the use of artificial grass altogether. For the research director of the National Association of Gardening, having artificial grass is like having a toupee on your lawn. But there are still positive perks from having artificial grass. 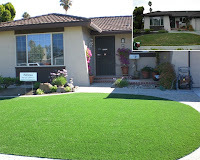 For one, the artificial grass industry thinks that there are advantages of faux lawn grass. 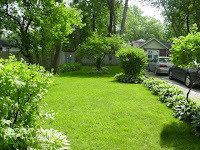 One benefit is the decrease in the care of one’s lawn. Thereby saving anyone and everyone money and energy. Artificial grass is also one way to decrease the use of fertilizers. It also helps neighborhood and households comply with the restrictions with regards to the use of water especially in areas that experience a lot of drought. Take for example an area in New Mexico, particularly Albuquerque which actually offer five hundred dollars to those residents who have a part of their lawn converted to landscape and which need less water. Same laws are also enforced in Arizona at Mesa as well as in Las Vegas. Simply put, for those who really want to see lush green grass, the use of artificial grass is a good alternative. 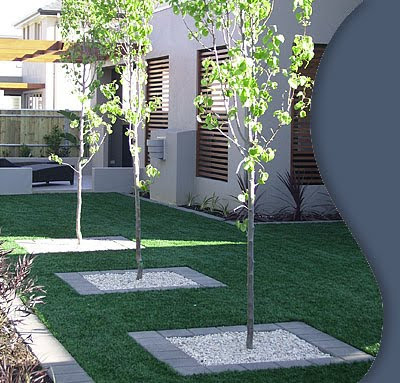 For those homeowners who prefer the artificial grass, the reasons are simple. One artificial grass user has found it helpful that his son no longer drags mud inside their house. Though the fact of the matter is that he also had to pad some areas of the lawn in order for the child not to hurt himself – it cost three hundred dollars. Also, artificial grass – like real lawn grass – comes in varieties. There are those who are garden lush variety artificial grass that has a recently-been-mowed look. This type of grass costs an average of thirty thousand dollars. The plus is that it simply needs to be airblowered once after quite a long while. How did fake grass become so hip? It all started in the 1970’s when football teams as well as baseball teams decided to install artificial grass in stadiums all over the country. Though fans claimed it as an ugly alternative, as well as dangerous and totally unnatural, it was actually a low maintenance and low cost landscaping phenomenon. Until there were athletes that tore their ligaments and broke their bones due to the artificial grass. All in all, the use of artificial grass depends much on a person’s preference, style, need and budget. What one could see as ugly could be beauty to another person’s perspective. 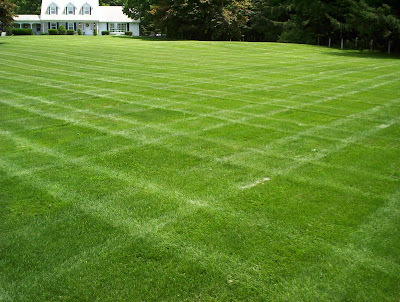 Every lawn, whether new or established, is susceptible to a variety of lawn diseases. Most lawn disease starts with a fungus. Fungi are an oddity because they don’t set seeds; instead, they propagate by distributing spores in their surrounding area. Some of the spores are picked up by wind or animals and distributed in new locations. One of the biggest problems in controlling lawn diseases is diagnosis. By the time signs of infection are evident, the fungus that causes it is often difficult to control. Although there are dozens of types of lawn disease, most can be prevented through regular lawn care. Most fungus spores lie dormant until conditions are right for them to grow and infect your lawn. Generally, fungus spores need warm temperatures, a moist environment, a source of nutrition and a susceptible host. 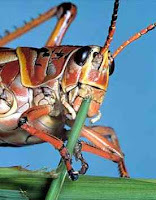 Although you can’t control the weather, you can deprive them of the nutrients they need as well as a susceptible host. Please note that all the disease pictures on this page are examples taken from very short mowed turf. This makes for better pictures, but symptoms in a lawn situation where turf is taller, are often not so obvious. This is a common disease on Bluegrass. However, it can occur on other turf grasses. It is one of the diseases that can be discouraged by adequate fertilizer. It prefers warm days, and relatively cool nights. It often appears during abnormally warm fall weather. It is among the easiest of diseases to control. Different Bluegrass cultivars show a wide range of resistance to this disease. This is a troublesome disease which is very common on Tall Fescue turf. Brown Patch requires warm, humid days, and warm nights. During favorable conditions this disease is often present to some extent on almost every Tall Fescue lawn. Some cultivars of tall fescue have shown resistance, but none are immune. This disease rarely kills the turf, but can discolor it for extended periods. It can be managed with fungicides, but the disease pressure often outlasts the fungicide protection. This is a common disease on Bluegrass. It prefers cool, wet weather. We see it mostly in the spring. It can discolor the lawn if many plants are infected. Leaf Spot is not tolerant of hot weather, so generally it is thought of as a temporary problem. When we have a long, cool and wet spring, this disease may eventually affect almost all Bluegrass lawns. It can be managed with fungicides, but generally is tolerated on a home lawn. Plants severely infected in the spring may weaken and die later in summer. This is called “melting out”. This is a very serious disease on Bluegrass. It is caused by a soil borne fungus that colonizes the roots of the plant. It is a perennial problem on the lawns in which it is present. The infection of this disease initiates in late spring, but visible symptoms do not appear until late summer. 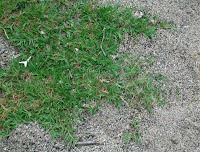 Management of Summer Patch in a home lawn involves one of two options. You can convert the lawn to tall fescue, or you can help encourage recovery of the damaged turf in fall. Fungicide treatments for this disease are expensive, and results are often disappointing. This disease is common during cool weather. It often appears in shady areas with poor air circulation. The white grass blades are easy to see, and this is an easy disease to diagnose. It generally does not permanently damage the turf, but it can be very persistent. It responds to many common fungicides. This disease occurs on all types of grass, including Zoysia and Bluegrass, but is most common on Ryegrass. It often can be managed with proper fertilization. Rust frequently appears during wet periods of late spring and summer. During the hottest part of summer, this disease may show up in heavy shade areas. Fungicides are effective but are usually unnecessary. The spores of this disease are orange, and will stick to your shoes as you walk through the lawn. Orange shoes are a dead giveaway that this disease is present in the lawn. This disease may occur in any lawn. It is caused by a soil borne fungus. The classic symptom is the circular dark green narrow band in the lawn. This narrow band will turn brown as moisture stress develops over the summer. There are many variations of this disease. The bands may be circular, small arcs, or long and winding. Sometimes mushrooms will grow in the band. This condition may be unsightly, but rarely causes permanent damage. It is very difficult to eliminate. Mushrooms and toadstools are fungi that often appear in home lawns. They may occur in conjunction with a Fairy Ring, but more often they occur during wet periods, where decaying organic matter is in the soil. Old tree stumps, buried lumber, or even a heavy thatch layer can provide the nutrients necessary to support these mushrooms. There is no chemical control for these invaders, and none is necessary. Just knock them over, or mow them down. If possible, you can attempt to remove the source of the organic matter, but often this is not practical. This generates a lot of customer calls, but is harmless to the turf. It shows up as a grayish, dusty looking coating of the grass blade. It can be washed of the grass, or swept off with a broom. The mold usually disappears on its own after a short period.